1 Pricebaba user have written their experience with Lenovo Vibe P1 Turbo. 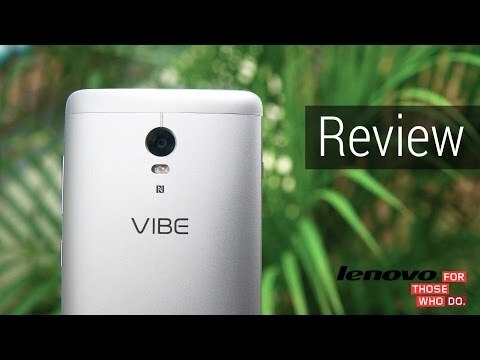 If you own Lenovo Vibe P1 Turbo, please do leave your feedback too. Lowest price of Lenovo Vibe P1 Turbo price in India starts at Rs. 9,970 Lenovo Vibe P1 Turbo is available on Flipkart at Rs. 9,980 and on Amazon at Rs. 9,990. Prices updated on 19th April 2019. Lenovo, the Chinese manufacturer of smartphones has gotten into the battery battle of the industry and launched their first ever smartphone with a massive 5000mAh battery to address the industry biggest issue. The Lenovo Vibe P1 Turbo also packs some decent hardware with premium build materials. Display on the Lenovo Vibe P1 Trubo is a 5.5 inch LCD Panel with a resolution of 1920x1080 pixels (Full HD) giving it a pixel density of 401PPI. Additonally, the display is protected by Corning Gorilla Glass 3. The phone also sports a Metal Unibody design which makes it look and feel premium. Talking about the performance, the Lenovo Vibe P1 Turbo runs on a Qualcomm Snapdragon 615 Octa Core chipset clocked at 1.5GHz and paired along is 3GB of RAM which ensure smooth multitasking experience. The phone also houses a fingerprint sensor embedded in the home button on the front of the device. In terms of software the phone runs on Android 5.1 Lollipop out of the box with Lenovo's Vibe UI running on top of it. On the rear of the device sits a 13MP sensor that can record videos up to 1080p, whereas on the front you get a 5MP shooter for those selfies and video calling needs. The rear camera also has a Dual Tone LED Flash for taking shots in the dark. And to store all your pictures and other data you get 32GB of internal storage that can be further expanded up to 128GB via a MicroSD card. As mentioned above the device is know for it's exceptionally good battery capacity being 5000mAh. The battery is not removable but supports Fast Charging. The device can take up to Dual Nano SIMs and it supprots 4G connectivity. The newly launched Lenovo Zuk Z1 is another good device to go for in this price range as it offers quite good battery life with once a flagship processor Snapdragon 801. Another device to look up in the price range would be the Xiaomi Redmi Note 3 which again has got good battery life and best in class performance for the price.